The Iroquois Nationals (the national lacrosse team of the Six Nations) is the only First Nations sports team in Canada that competes internationally. 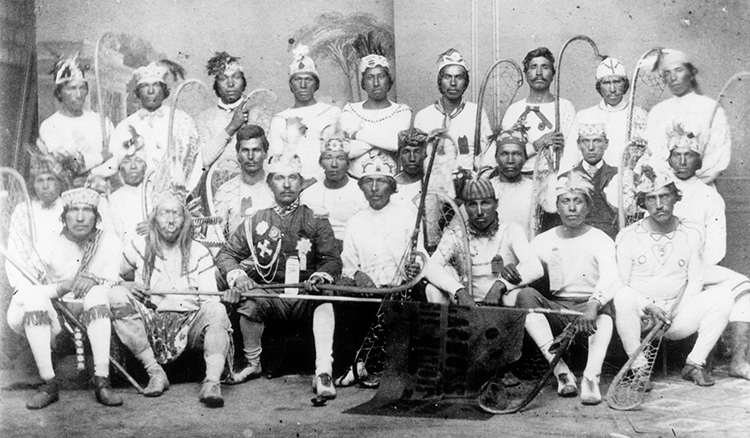 Lacrosse originated among Canada’s indigenous peoples long before the arrival of the Europeans. 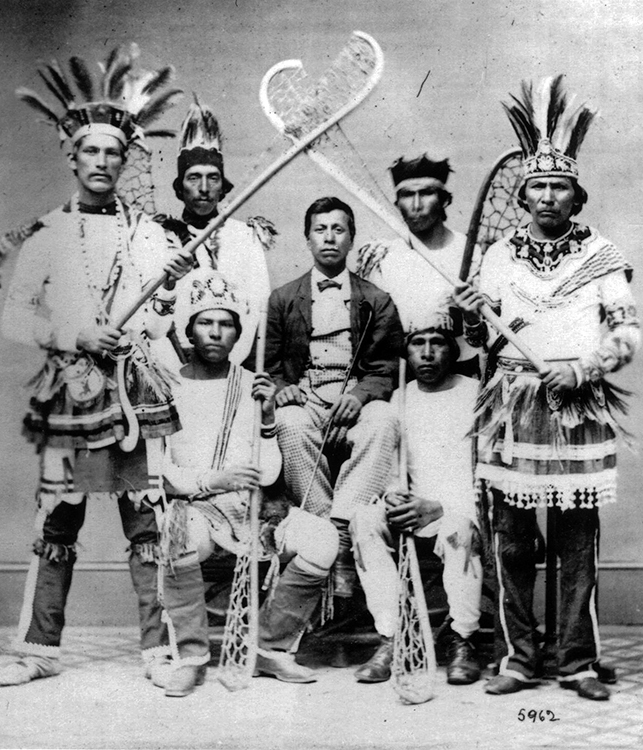 Originally known to the Algonquin people as “baggataway” or to the Mohawk as “tewaarathon,” lacrosse has been played for centuries. The sport involves players passing, catching and carrying a small, hard ball with sticks that have netted pouches. Lacrosse was believed by First Nations peoples to be a gift from the Creator for his enjoyment and for the people to show their love for nature. It was also a medicine game for healing. The game developed physical skills, and placed value on discipline, leadership and tribal unity. In 1637, the Jesuit missionary Brébeuf was the first European to name and document the game as lacrosse. He described the sometimes brutal sport as a spiritual endeavour. In the 1800s, the game was adopted by English-speaking Canadians. A convention was held in Kingston in 1867 to codify the rules of lacrosse and to bring together the different clubs under the newly formed National Lacrosse Association. In 1900, Sir Gilbert Elliot, Earl of Minto and then-Governor General of Canada, donated the Minto Cup as a trophy to the winners in the sport. Lacrosse remains popular throughout Ontario, Quebec and the northeast United States. Today, it is Canada’s national summer team sport. Learn more about lacrosse on the Ontario Lacrosse Hall of Fame website. Read more on the origins of lacrosse from the Federation of Internal Lacrosse website. Follow the Iroquois Nationals on their website.